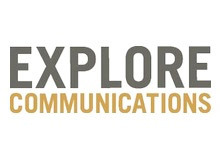 Explore Communications is a full-service media planning company. Democracy in the workplace provides a culture of balance, immersion, unity and community that is healthy mentally and physically. It sounds so clichéd, but we really are a family business. Anyone can make changes or suggest new and better ways to do things, and we will do it. People have finally learned that they don't have to ask me to approve everything. It could be from buying new office chairs in the conference room or changing the way we bill a client. They are empowered to do what is best and they know they are trusted. They know they can make things happen and I'll be happy even if it doesn't work out like they thought - because they tried something new rather than being complacent. We are a team and yet we have autonomy.